Luke and Danny have only just put the band back together — will CIVIL WAR II tear it apart? 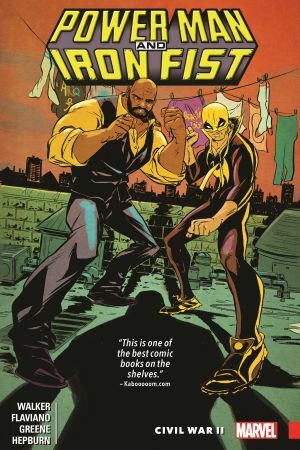 Maybe, when Iron Fist finds himself behind iron bars! 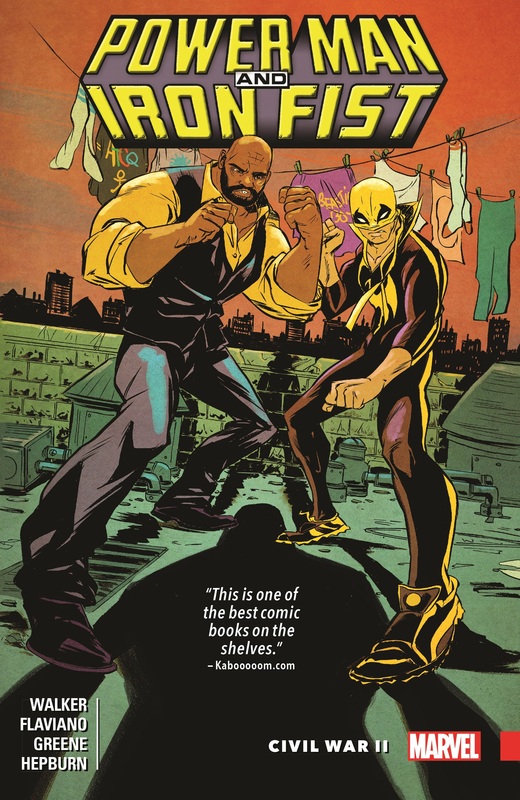 But who better to get him out of a cage than Power Man? Then again, Luke's crack team of former criminals may be more of a hindrance than a help! And there's the small matter of Captain Marvel's reaction to the Inhuman Ulysses' prison-break premonition! As for the philosophical disagreement underpinning the conflict rocking the Marvel Universe, our two heroes start out on the same side — but the predictive justice vigilantes Preemptive Strike may just change that! Plus: From Civil War to peace on Earth! It's Luke's favorite holiday — but demonic toys might make this a bitter Christmas, not sweet! 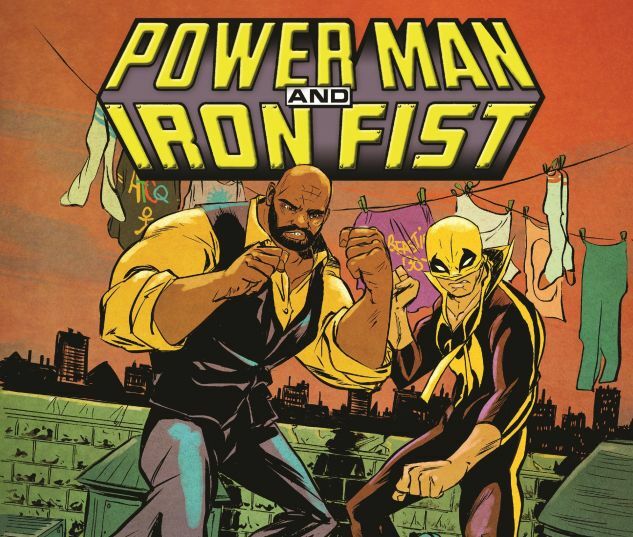 Collects Power Man and Iron Fist #6-9, Sweet Christmas Annual #1.